America's Next Top Model strutted its stuff for an impressive 22 seasons over 12 years. Though Tyra Banks' reality competition failed to launch an actual supermodel, it did kickstart busy entertainment careers for many of its leggy alumni. But not every contestant has walked a pretty path to fashion and fortune, and some look much different than their ANTM portfolios. Renee Alway was another young contestant on Cycle 8 of ANTM and then a finalist on Banks' spinoff, Modelville, but when the cameras stopped rolling, so too did her success. Alway became addicted to painkillers, then heroin. She lost her home and custody of her three children. Her most publicized post-show spread was a mugshot after her arrest in Palm Springs in 2013. According to ABC News, Alway pled guilty to felony counts of burglary, vehicle theft, and possession of a firearm and a misdemeanor count of identify theft. She was sentenced to 12 years in prison. In hopes of deterring others from following in her footsteps, Alway conducted an interview from prison with ABC affiliate KESQ. Sporting a standard-issue jumpsuit and shaved head, she spoke about her post-show destruction. "It was just closed door, after closed door, after closed door," she said. "I felt like a failure because I couldn't get past the reality TV stigma that had been put on me." Though Alway connects her downfall to the shows, she also assumes responsibility for her decisions. "There are plenty of girls who were eliminated and they're doing just fine so, obviously, I made choices that brought me here as well." 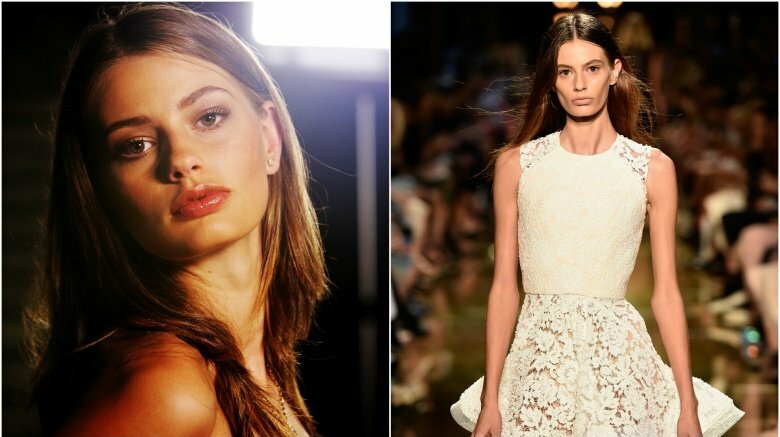 ANTM aired in more than 150 countries and spawned at least 40 international spinoffs, including the Australian version that discovered Cassi Van Den Dungen. At only 16, she became the runner-up Down Under in 2009. This working-class youngster earned significant success walking for major fashion houses, including Calvin Klein and Miu Miu, but she shocked the industry with her skeletal appearance on designer Alex Perry's catwalk during Australian Fashion Week in 2014. Perry publicly apologized on an Aussie news program (via The Daily Telegraph), saying booking Van Den Dungen was a "serious lapse of judgement" and he "recoiled" at images of her physique. A defensive Van Den Dungen fired back via Instagram. "I think a lot of overweight girls are hypocrites," she said. "I'm naturally tall and skinny, I eat what I want, I don't starve myself, and I am beautiful." The post read (via the Daily Mail), "So why are you allowed to love your 'curves' but it's wrong for me to love my 'bones'?" In 2016, Perry reportedly hired Van Den Dungen again to model for his Resort '17 collection. Swafford's social media accounts have logged some dental progress, though she reportedly broke her nose and knocked out another tooth in early 2015. At the time of this writing, her tooth appeared to be repaired, and her signature sweetness was intact. She posted on Facebook, "When life gives you lemons, find someone that life gave sugar to. Then find someone who life gave water to. Then be a gang…a sweet refreshing gang." Swafford is not the only ANTM graduate with a GoFundMe page. Cycle 22 competitor Bello Sanchez asked for help to pay for medical care following a traffic accident in California in October 2015. According to his since-deleted fundraising site, Sanchez was on his way home after a long day of fashion shows when he "fell asleep at the wheel." He survived the "near-fatal car crash" with facial abrasions, a right shoulder injury, anterograde amnesia, and post-traumatic stress disorder, the site said. Sanchez posted a photo of his bloody face next to a request for $30,000. At least his signature Carribean-blue eyes appear unscathed, and at the time of this writing, his Instagram was packed with photo shoots again. When you're in the business of looking good, even minor aesthetic changes can destroy careers—for the record, we still miss Jennifer Grey's Dirty Dancing nose. 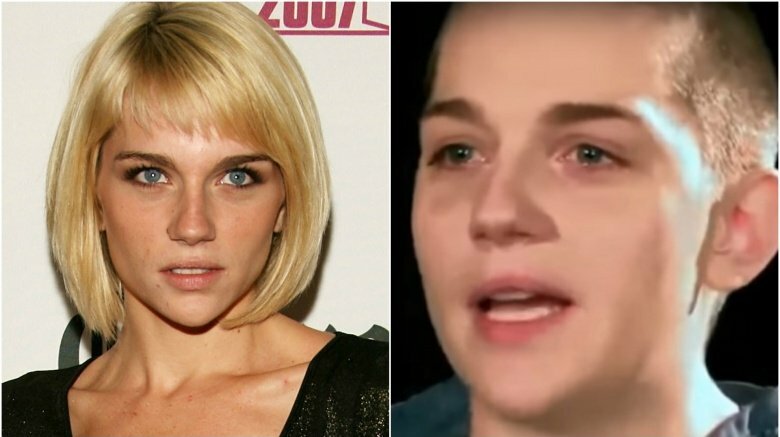 Fans wondered if Lisa D'Amato, winner of ANTM: All Stars, could bounce back after mangling her face on a movie set in 2013. According to the New York Daily News, D'Amato was horsing around on the set of the indie film, Cowboys and Indians, when she fell on her face while attempting a handstand. D'Amato posted nauseating Instagram photos of her face before and after reconstructive surgery. Her new nose does slightly alter her ANTM look, but D'Amato shows no signs of slowing down. 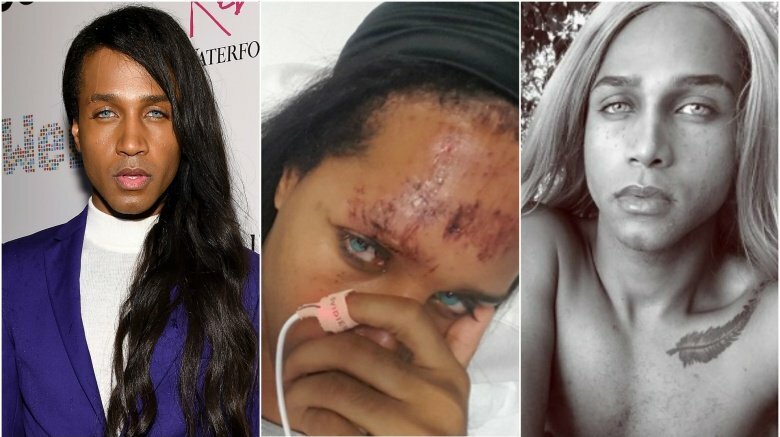 Calling her obstacle an opportunity, she became a spokesperson for Skinception's Dermefface FX7 scar serum and Kollagen Intensiv cream and has continued to work in minor league modeling and electro hip hop. She also returned to reality TV with her doomsday prepper husband for Marriage Boot Camp: Reality Stars. The best and worst moment of every ANTM season is the makeover episode. Banks and her team transform contestants, for better or worse, with copious amounts of hair dye, hair extensions, hair cuts and, in Denzel Wells' case, faux facial hair. Wells was given a beard weave. We repeat: the man had to wear a lace-front beard wig for the remainder of Cycle 21 in 2014. Viewers lost their minds over that costume shop scruff. Wells' weave became a character all its own, consistently taking top honors in every ridiculous ANTM meme, list, and blog. We're not surprised he adjusted his jaw line after the show. 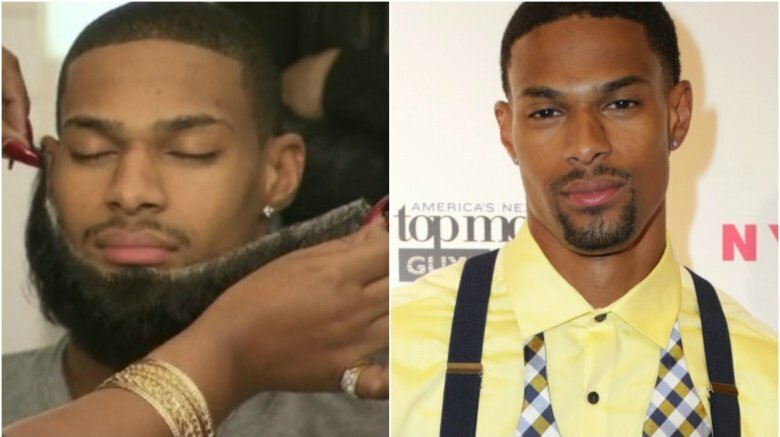 Wells went on to woo the ladies with a trim, authentic goatee as "Travis" on Tyler Perry's If Loving You is Wrong, a soap opera that debuted on the Oprah Winfrey Network in 2014. Analeigh Tipton struggled early on in Cycle 11 of ANTM, but she quickly became a favorite with both the judges and fans when she learned how to integrate her figure skating experience into her modeling. Although Tipton placed third in her season, she's gone on to become one of the show's most successful contestants, changing up her look constantly as she pursues an acting career. Tipton began acting in feature films with an appearance in 2011's The Green Hornet before landing a memorable role as the unlucky-in-love babysitter Jessica in the rom com Crazy, Stupid, Love. Other notable parts include Warm Bodies, Lucy, Mississippi Grind, and the ABC series Manhattan Love Story, on which she played the lead opposite Jake McDorman. Although that show was canceled after one season, expect Tipton's looks to keep changing as she struts her way onto the A-list. McKey Sullivan came out on top in Cycle 11, despite having to change her name early on to help Tyra avoid the confusion of having too many girls named Brittany. 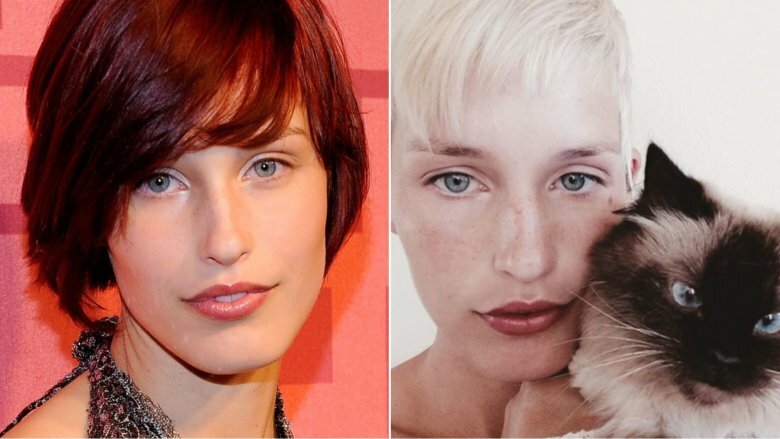 Although McKey didn't have much modeling experience when she came on the show, she proved to be a natural, using her short hair and androgynous look to blow away designers. Although Sullivan did some modeling after the show, she has focused mostly on her family, marrying boxer Sam Alvey and having two children together. McKey has also changed her looks somewhat, relaxing her short dark bob in lieu of a more casual look with lighter blonde and red shades. Motherhood definitely suits her. 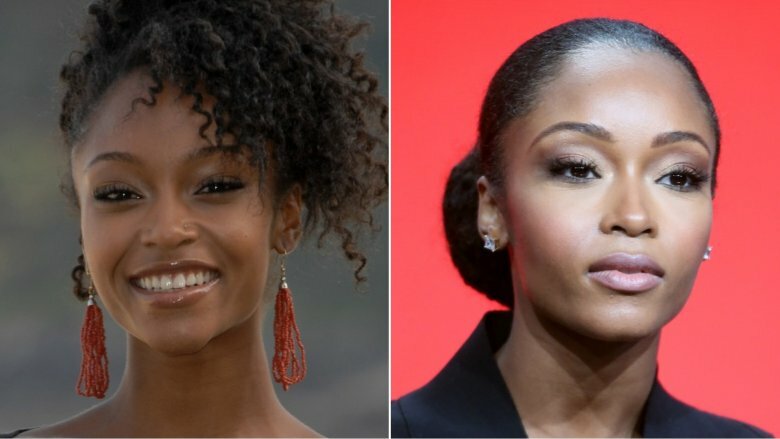 Yaya DaCosta came this close to winning the title on America's Next Top Model's third cycle. Although she eventually lost out to Eva Pigford, she has still managed to build a successful career for herself as both an actress and a model. She started acting shortly after the show ended with a guest appearance on the sitcom Eve, and after appearing in a couple films, she landed a series regular role on the soap All My Children. DaCosta has since booked roles in films such as The Kids Are All Right, Tron: Legacy, In Time, The Butler, and The Nice Guys, as well as TV shows, including Ugly Betty, Law and Order: Special Victims Unit, Body of Proof, House, and Army Wives. In 2015, she joined Chicago Med as a series regular, playing nurse April Sexton. Although she's changed up her look many times since her Top Model days, DaCosta always finds a way to stand out. 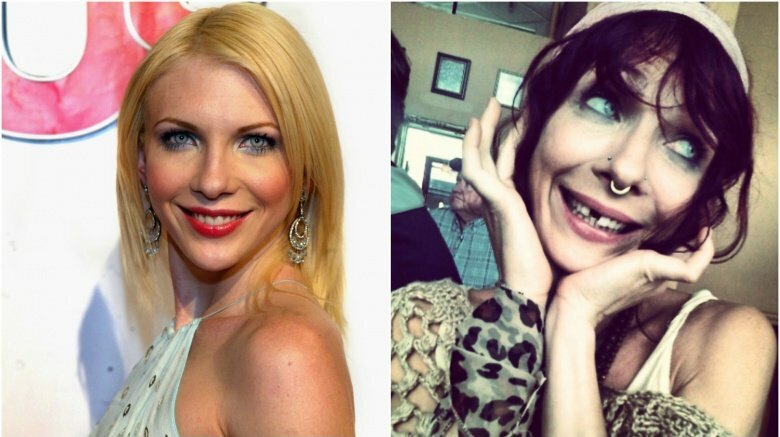 Kim Stolz placed fifth on America's Next Top Model's fifth cycle and earned a guest spot on Veronica Mars during her time on the show. Since the contest, she's worked with MTV News and on the MTVu series The Freshmen and published a book, Unfriending My Ex and Other Things I'll Never Do, in 2014. Stolz has since traded in the runway for an office, working as the Head of EMEA Equity Derivative Hedge Fund Sales for Bank of America Merrill Lynch in London. As she settles into a more traditional career, Stolz has also gone for a more traditional look. The Brits took the crown on the America's Next Top Model British Invasion cycle, thanks to the bubblegum pink-haired beauty Sophie Sumner, who used her edgy look to beat out the competition. That win, coupled with her previous work on Britain's Next Top Model, catalyzed a successful career in the industry. However, Sumner has changed her signature look somewhat, going for a more mature dark blonde 'do that's a bit longer than the short cut she rocked on the show. Sumner, who is good friends (and former roommates) with Harry Potter star Emma Watson, has also taken her talents to the small screen, appearing on Asia's Next Top Model and the reality show Taking New York. 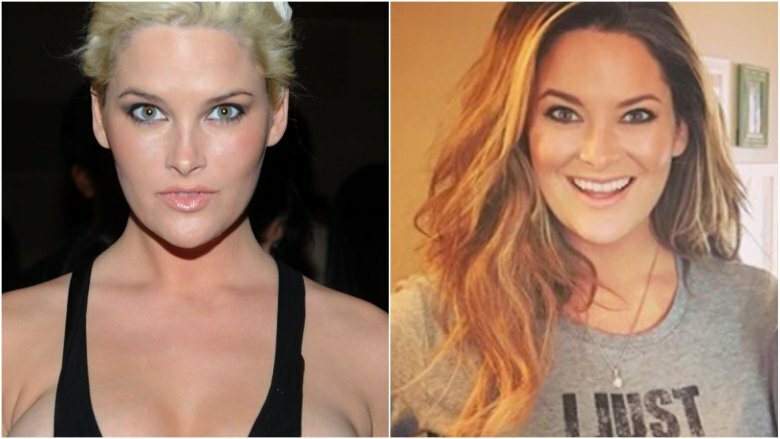 Whitney Thompson was America's Next Top Model's first plus size winner, and she has continued to rock her curves both in print and on the runway since she left the show. 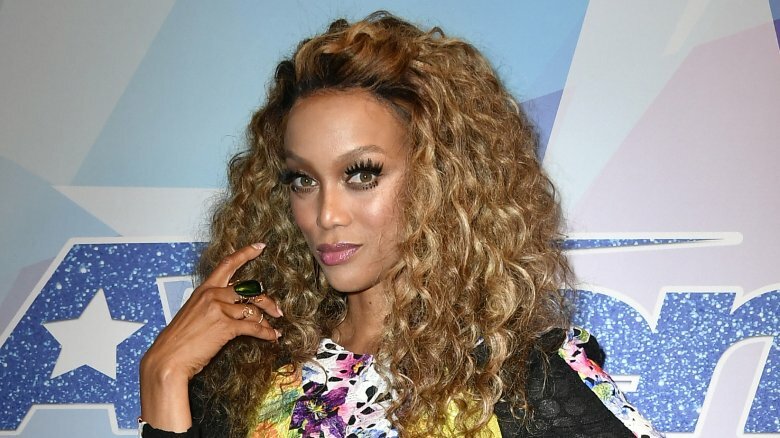 While Thompson is clearly still using everything Tyra has taught her and has even returned to ANTM for multiple guest appearances, she has dropped one thing that the who pushed on her — blonde hair. Thompson was given bleach blonde extensions on the show, and while she has kept the length, she's stuck mostly to dark blondes and even browns following ANTM. The glam gal has also started a family, getting married in 2014. Portions of her wedding planning were featured on the TLC reality show Curvy Brides. 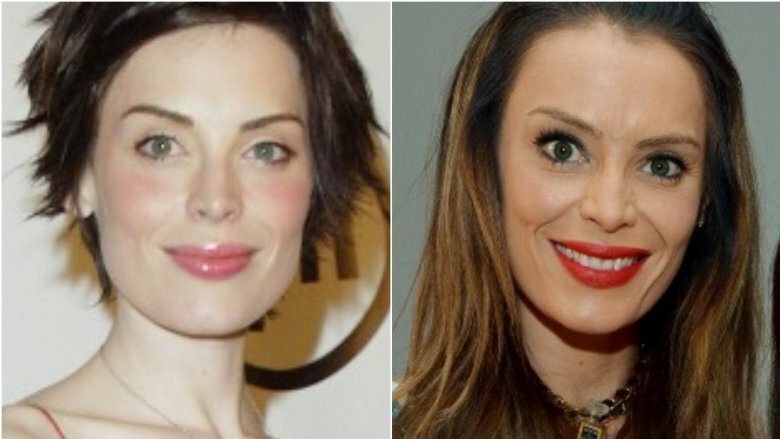 Yoanna House was the second winner of America's Next Top Model, and she has built on her success from the show working as a brand ambassador for O.P.I. and by appearing in ads for Sephora, Levi's, and Macy's. She has also started a family and frequently posts pics of her adorable son on her Instagram. House has developed a much more sophisticated modeling style over the years, growing out her hair and embracing a more natural look that's perfect for mixing things up in her many photo shoots.